New book, 56 pages. 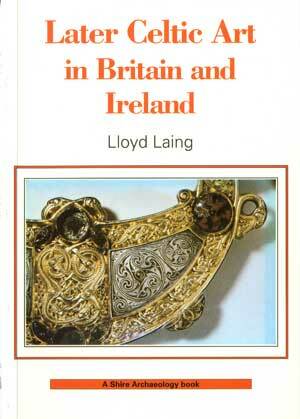 During the fifth and sixth centuries AD a magnificent art flowered in Britain and Ireland. Arguably it was the most accomplished ever to emerge out of barbarian Europe. The art is astonishing, exuberant yet based on careful geometric layout. First developed in Britain, it reached its greatest heights in Ireland from the seventh century onwards and was revitalised by the Vikings, to survive in both Ireland and Britain until the Normans. This book, which was the first to deal exclusively with the art of the period in both Britain and Ireland, discusses both metalwork and manuscripts, and sets them in the wider perspective of the artistic traditions of the time.